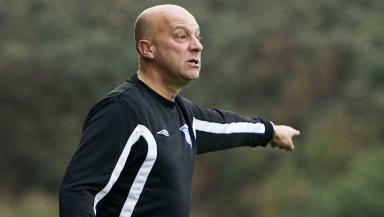 The former Staggies boss takes up the role having left Hartlepool United in October. Neale Cooper has returned to Ross County as assistant boss to Derek Adams. The former Staggies manager, who was in charge of the club from 1996 to 2002, has been out of work since quitting a second spell as Hartlepool United manager in late October. Cooper has also managed Gillingham and Peterhead since leaving Victoria Park 10 years ago, and joins the club as part of a restructuring of the coaching staff. “We’ve got an extremely small staff here at Ross County, and it is therefore vital that we have a structure in place and have the right people in place to take the players, team and indeed the club forward," manager Derek Adams said. "Neale is someone that I have known for a number of years. Having had him join us for a couple of days of training, it was obvious his qualities complemented what we already had in place here.